$15/$10 Studios and WLRN mbrs. Due to the nature of live radio broadcasting, guests must be in the theatre and seated no later than 6:40 p.m.
All ticket holders are invited to a pre-show reception at 5:30pm at The Studios featuring complimentary sandwiches, fruit and snacks + a cash bar. 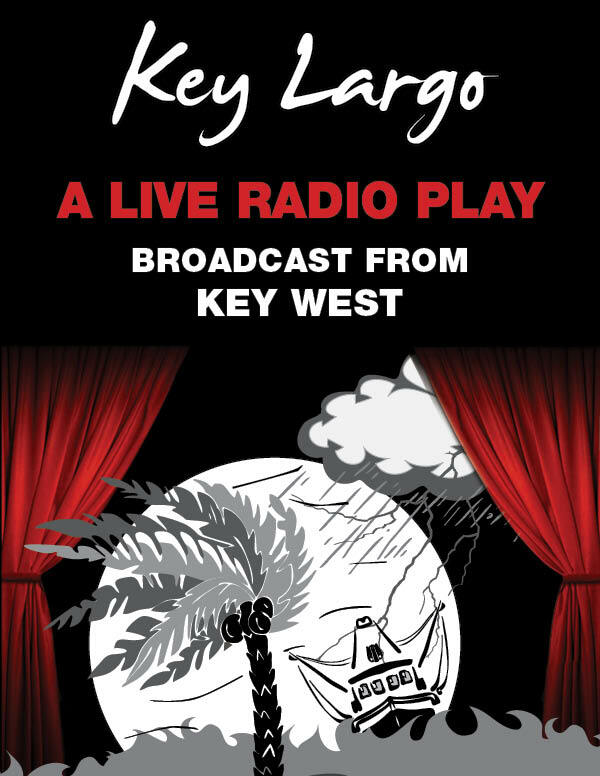 Join us for WLRN/WKWM’s live radio performance of Key Largo at The Studios of Key West. Adapted from the classic noir film starring Humphrey Bogart, Edward G. Robinson and Lauren Bacall, Key Largo follows World War II vet Frank McCloud’s visit to a hotel run by the widow of a fallen war buddy. McCloud realizes that mobsters, led by the infamous Johnny Rocco, are staying in the hotel. When the criminals take over the establishment, conflict and a hurricane threaten to tear everyone apart. The Arts Radio Network Theatre Project in partnership with WLRN/WKWM Public Radio will perform the RADIO version of this classic story on Thursday, August 24 at 7 p.m. at The Studios of Key West in Key West. This exciting performance, broadcast live, will launch WLRN’s Florida Keys Museum and Attractions Weekend. You can be a part of the audience for this historic live radio broadcast! Purchase your tickets now at tskw.org or visit The Studios of Key West Box Office.